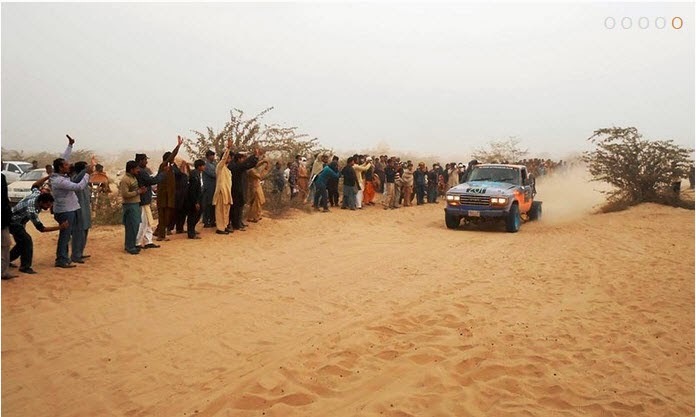 Cholistan Desert Jeep Rally (or simply “Cholistan JEEP Rally” or also known as “TDCP Cholistan Jeep Rally“) is a rally raid type of off-road race, organised by the TDCP in Pakistan. 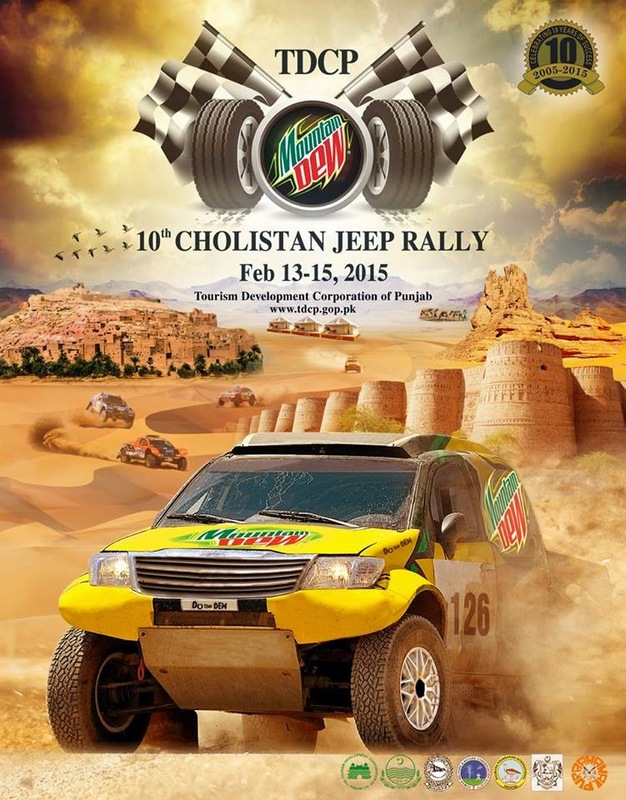 The event is annually run in the Cholistan Desert venue. It was first introduced in 2005 by Tourism Development Corporation of Punjab (TDCP). 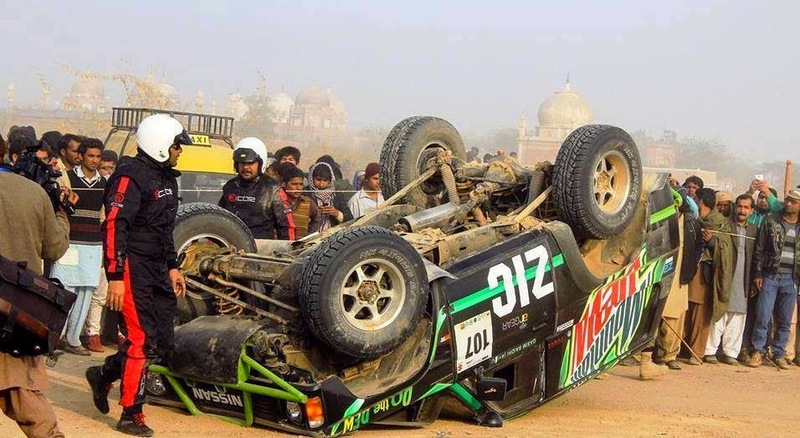 The event is run by the Government of Punjab. 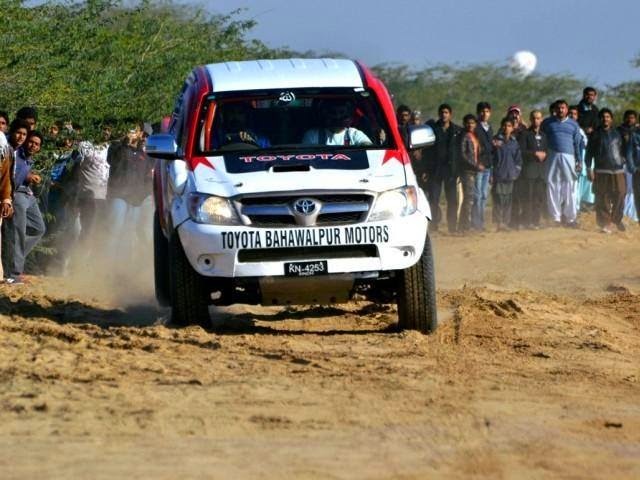 The rally helds near the Derawar Fort in Bahawalpur. 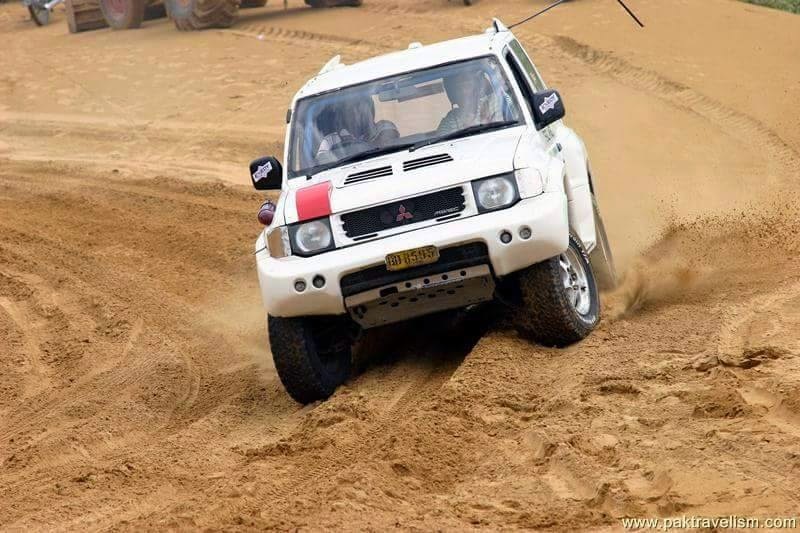 Around 100 drivers and teams from all over Pakistan participate in the rally and almost 100,000 visitors witness the rally every year. 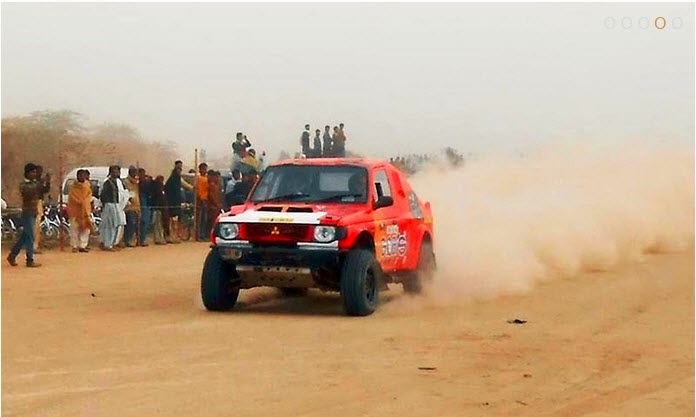 Nadir Magsi of Sindh, already winning the title for four consecutive years, emerged champion of the 10th Cholistan jeep rally 2015 at the crumbling Derar Fort in Cholistan, about 70kms from here on Sunday. 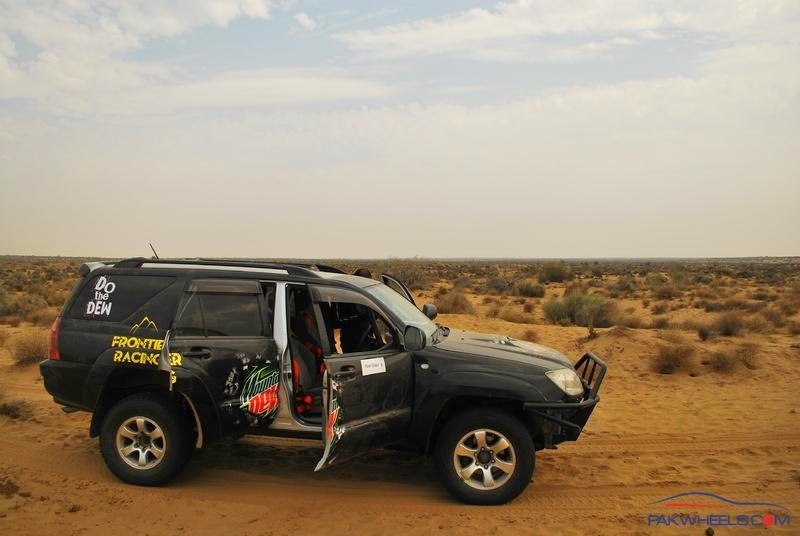 According to unofficial results, in category A, Nadir Magsi covered the distance of 220 kilometers in 2 hours and 20 minutes. 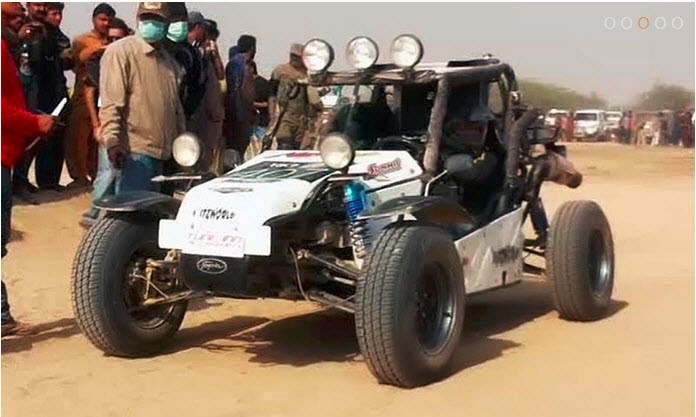 The organizers introduced the ladies category for the first time and, according to unofficial reports, Tushna Patel and Sadia Nadeem won first and second positions, respectively. 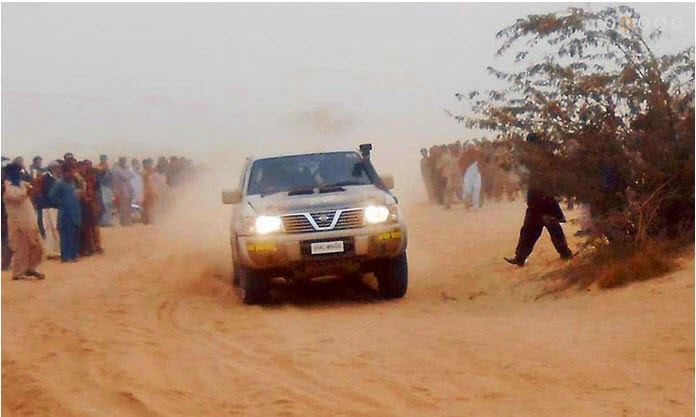 The rally was participated in by about 100 drivers, navigators and owners. 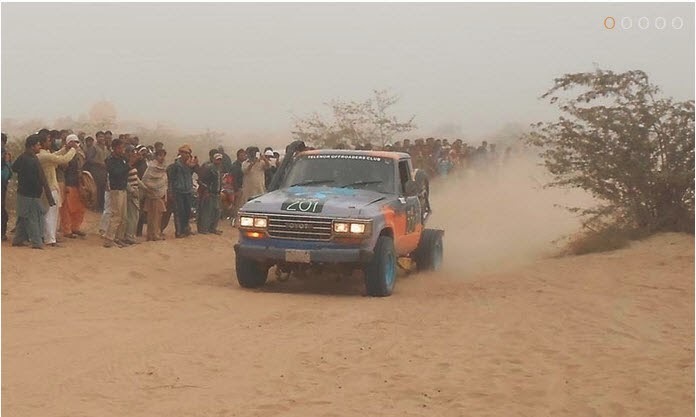 The organizers did not invite the media persons from national and local newspapers, who faced difficulties in the discharge of their duties and the collection of rally details and results.